In association with the Chilean Embassy, a poetry recital of one of the poems (on Fans in Spanish) of the celebrated Noble Laureate and Chilean Poet - Diplomat Pablo Neruda. The English translation will be rendered by Nandita Das. Opening will be followed by a Classical Recital by Manjusha Patil at Amphitheatre. Summer Drinks, Snacks, Flowers and Music which one looks out for on a summer evening will be awaiting the guests. 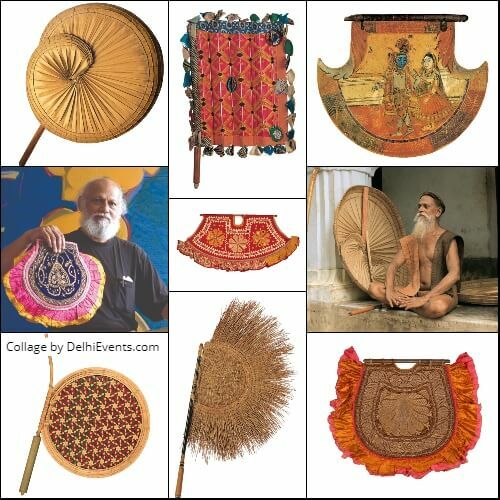 Event Description : EXHIBITION "Pankha" A Collection of Hand Fans from the Indian Subcontinent and Beyond by Artist Shri Jatin Das. The workshop on fan-making will be led by Siddhartha Das, designer and vice chairman of JD Centre of Art and craftspeople. The workshop is for all ages, including children.Participation is free to all. The collector or a core group member of JD Centre of Art will guide the visitors through collection.